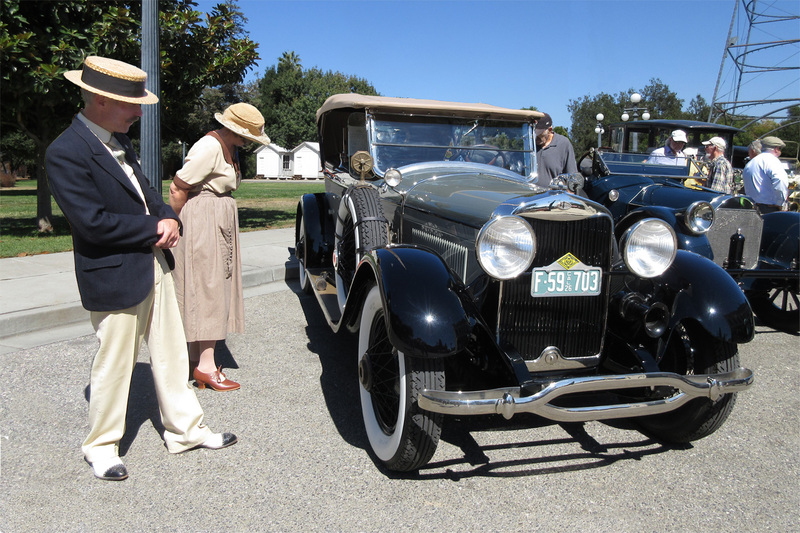 The 19th annual Antique Autos in History Park, presented by the Santa Clara Valley Model T Ford Club and History San José, will take place on Sunday, September 22, 2019 from 11:00 AM to 4:00 PM. This event fills History Park (Kelley Park, 635 Phelan Ave., San Jose, CA) with period-correct pre-1946 vehicles, fire equipment, bicycles and motorcycles. The featured vehicles this year are Durant Motors Inc. (1921 -1932), Star, Durant, Flint and Locombile. In addition to many antique vehicles, there will be participation by the Early Day Gas and Tractor Association, displays of Early Crafts and Antique Collectibles, a Dixieland Band, Dancers, Barbershop Quartet, Blacksmith Shop Demos, Trolley Rides, History San José Open Houses, Kids Activities, Food and more. Bring the family for a day of viewing, entertainment and fun. General Admission to the event is $5 (for age 3 years or older) and free for participants and HSJ members. For more information, contact Peder Jorgensen at pederjorgensen51@gmail.com or 408-358-3398 or Allan Greenberg at allang@pacbell.net or 408-997-0879.